Children will use and develop fine motor skills. Print flower patterns. Let children color the flower and cut it out. 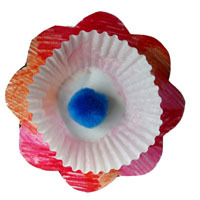 Glue a cupcake liner on paper flower. Glue a pompom to the middle of cupcake liner and add some drops of perfume to the pompom. Hang on your bulletin board. Variation: Add stems and leaves to make a flower garden. Place cotton balls in several paper cups. Drop a different extract such as vanilla, orange, peppermint, and lemon (or other substances safe to smell) into each cup. Let children smell and identify the odors. Provide a pair of binoculars and a telescope and let children explore outside, alternating between using the close-up and distant lenses. 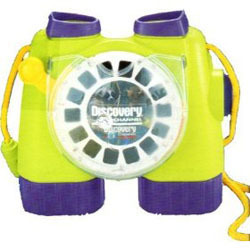 Provide magnifying lens for exploring inside. Have children describe what they can see with the binoculars, telescope, and magnifying lens that they can’t see without them.